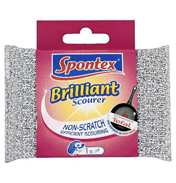 This pack of 5 sponge cloths will become a necessity in your kitchen. 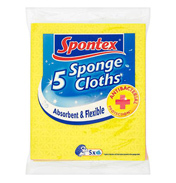 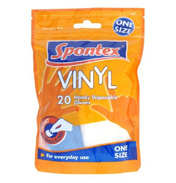 They are super absorbent; they can soak up to 16 times their own weight in water. 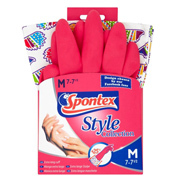 They are supple and flexible making them easy to wring. What makes them even better than your standard kitchen cloth is that they are treated with antibacterial protection to protect your kitchen against bacteria.